We can offer nationwide and international removals utilising our highly flexible staff and resources. Our own vehicles cover nationwide removals, no matter what destination, and direct services are run into Europe weekly. As well as offering a full dedicated load service for your home, we also operate a part-load service whereby we can deliver consignments on route. For example if you have a small consignment for the Bordeaux area it could be delivered on a truck bound for Spain. This provides a very economical solution for moving small consignments perhaps to a second home or to relatives on the continent. We can also collect consignments from the Continent to return to the UK. Our coordinators will plan your move to ensure that it is carried out within an agreed time frame. If you need temporary storage this can be arranged in either our own warehouses or on the Continent. We are full members of FEDEMAC which provides a network of removals companies many of whom we have long standing working relationships. These companies, as well as providing local storage, can also provide local resources such as shuttle vans in order to assist us if necessary where unloading may be difficult for large trucks. As well as providing full comprehensive insurance for your goods whilst in transit, we are also members of the BAR and are fully bonded members of the BAR Overseas Group, which incorporates an advanced payment guarantee insurance. Please feel free to carry out an independent check of our credentials by either taking a look at www.bar.co.uk or www.baroverseas.co.uk, or give them a call. 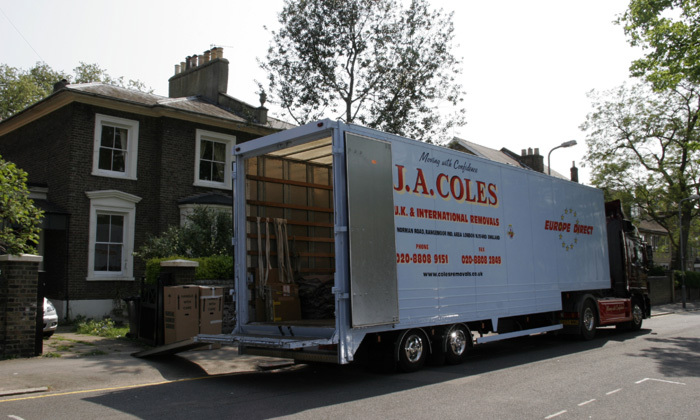 Whether you’re moving across the country or to mainland Europe, contact Coles today for a free quotation and superior service every step of the way.